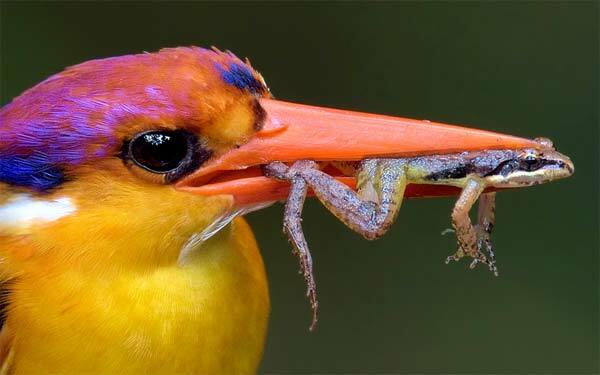 This kingfisher maybe excused for not giving its usual chirpy bird song – as it has a frog in its throat. 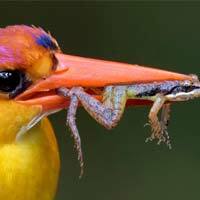 The kingfisher caught the frog in Western Ghats, Maharashtra, India. Frogs are part of a normal diet for kingfishers, who also feed on insects and lizards.